We have 26 field trips, some to places that are not otherwise accessible (Cross Bar Ranch, Mosaic Wellfields). Trips are by boat, kayak, van, wagon, and a few on foot too! 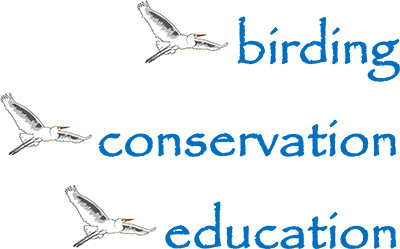 There are 36 seminars on the schedule, from birds (of course) to bats, bees and butterflies. International birds – Harpy Eagles, Falkland Islands, Cuba! Local birds – Swallow tailed Kites, Anhingas, and the nesting secrets of Wilson’s plovers. How to choose the best optics, by Vortex, and what to do with your old ones, by Optics for the Tropics? Why buy a Duck Stamp? How to landscape your yard for birds? Answered in a seminar! The Nature Expo is on ground floor this year, I know that was a problem last year. We have not 1 but 2 great optics companies represented – Vortex and Redstart! Plus artists, photographers, potters, woodworkers, beekeepers (fresh local honey), crafts, travel, and conservation organizations. And our Keynote speakers are fantastic! Opening night Thursday, Oct 11, with social hour, begins with Jack E Davis, who just won a Pulitzer Prize for his latest book The Gulf – The Making of the American Sea. Friday night during social and dinner there will be a poster session, with chances to talk to local researchers about their projects studying conservation and ecology issues. Then the presentation will be by Mac Stone, known as Photographer of the Everglades. His book on the Snail Kites of the Everglades is just superb. 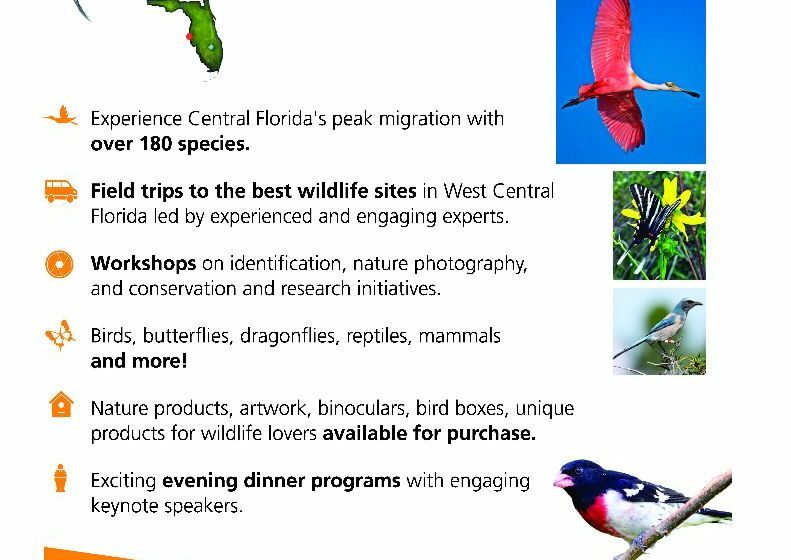 Saturday evening after dinner the speaker is Steve Kress, Director of Project Puffin for National Audubon. He developed the methods now used worldwide of decoys and recordings to entice seabirds to re-nest on islands they had previously abandoned. Oh, and I almost forgot, we’re at a new location! This year our host is Brandon Campus of Hillsborough Community College. It’s just off Falkenburg Rd and I-75, north of Brandon. But that, all the details, links to our special rate hotel and more are on the website www.fbnfestival.org . 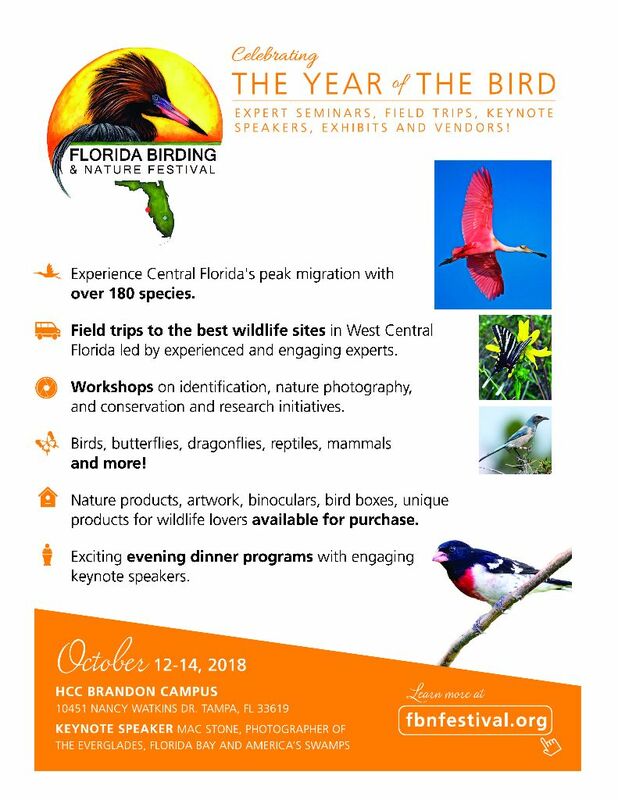 Please join us for another fantastic Birding and Nature Festival!